Bentley et al. (2004) noted that SCP1 contains a higher frequency (5%) of genes carrying the leucine codon TTA than is observed in the chromosome (2%). This codon is rare in GC-rich DNA (Streptomyces genomes contain more than 70% GC), and is confined to genes inessential for vegetative growth, since a mutation lacking the gene (bldA) encoding the only tRNA capable of efficiently translating UUA codons is fully viable (Lawlor et al. 1987; Leskiw et al. 1991). Such mutants are, however, defective in production of several antibiotics, and fail to develop aerial hyphae on most media. bldA mutants of diverse streptomycetes all have a similar phenotype, indicating that the specialised use of TTA codons developed early in the evolution of the genus (reviewed by Chater 2006, and Chater and Chandra 2006). More than 90% of the TTA-containing genes of S. coelicolor are non-conserved between species, and therefore likely to have been acquired by lateral transfer, and mutations in most of them have no recognisable phenotype, leading Li et al. (2007) to suggest that they may be important only in particular ecological contexts. 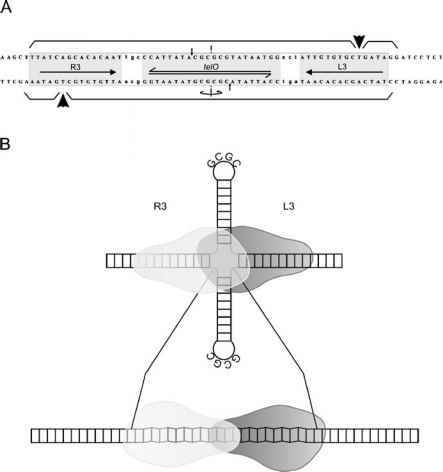 The relatively high frequency of TTA-containing genes in SCP1 would be consistent with the notion that some linear plasmids act as vehicles for the movement of ecologically adaptive genes between the chromosomes of different streptomycetes. Two of the TTA-containing genes of SCP1 are in the methylenomycin gene cluster, which causes production of methyleno-mycin to be defective in a bldA mutant (O'Rourke 2003), and another is in the large operon containing the sapCDE genes, encoding spore-associated proteins (Bentley et al. 2004). ters and transposable elements, since the origin of the genus suggests that this dynamic interaction continues to the present. Many of the ca. 50% of species-non-conserved genes of streptomycetes are in the arms of the chromosomes, while nearly all the generally conserved genes are in the central ca. 5-Mb core, with a gradient of species-specific genes separating the core from the arms (Choulet et al. 2006). This suggests the idea that laterally acquired arm genes subject to relatively frequent selection would migrate inwards towards the core, as a result of deletions and recombinational exchanges taking place in the arms, and so become increasingly immune from the many kinds of genetic instability events in the chromosome ends (Chater and Chandra 2006). 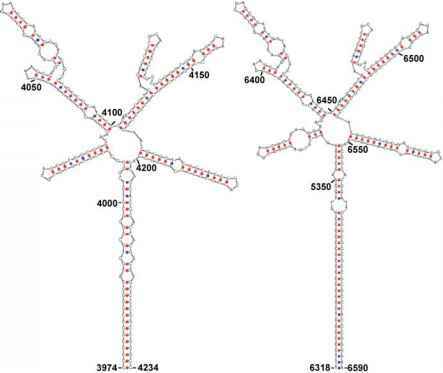 The possibility of new configurations at the ends of linear chromosomes, particularly assisted by the introduction of linear plasmids, offers great possibilities for genome adaptation that may account for the enormous success of streptomycetes in colonising soils. The ready chromosomal acquisition of genes from linear plasmids would mean that these genes could be retained over many generations even in the absence of any selection, whereas plasmids themselves, and the genes that they carry, can often be lost when selection is relaxed. This more stable inheritance would be valuable for streptomycetes, which need to be able to respond flexibly, and probably very intermittently, to the great variety of microenvironments that they may encounter in the soil. The multigenomic compartments of hyphae offer havens in which altered, and possibly defective, chromosomes can be supported by non-defective versions for short periods of growth, until they must eventually segregate during sporulation; and to this the TIRs of linear replicons add a kind of partial diploidy capable of transmission through spores, so that recessive mutations in TIRs can potentially be propagated through many generations, as in diploid eukaryotes. This might permit accelerated evolution compared with unicellular organisms possessing circular chromosomes and plasmids. As pointed out by Volff and Altenbuchner (2000), an exchange of plasmid and chromosomal ends could also provide a different kind of partial diploidy, in which genes present both on the chromosome and on an un-rearranged copy of the plasmid could be maintained in the diploid state through sporulation, with the same possibilities for the preservation of recessive mutations. Why, if linear genomes are beneficial to streptomycetes, are they not a general feature of all bacteria? One possibility is that linear genomes are not very well-suited to the efficient and complete partitioning of chromosomes into daughter cells that is crucial for unicellular organisms. Specialised mechanisms exist for decatenation and resolution of newly replicated circular chromosomes of such organisms (Sherratt et al. 2004). Highly reliable partitioning may be sacrificed in favour of increased adaptability in a vegetative lifestyle involving multigenomic compartments and relatively few cell division events. Acknowledgements We thank David Hopwood and Carton Chen for helpful comments on the manuscript.